Bitcoin Press Release: ARK has been successfully developing their optimized version of the ARK Core and have provided behind the scene details of their recent progress. The new and improved version boasts intricate features to bolster the efficiency of the platform. March 5th, 2018, Lons-Le-Saunier, France: ARK is proud to provide insight into their recent project the ARK Core v2. It was a necessity to undergo changes to prepare for the next generation of deployable DPoS blockchains. The ARK team has worked on implementing new features into the platform which will be discussed below. The Crypti/ Lisk legacy code that the ARK project used initially needed to be scrapped as the team paved way for their own build. The work from Ark’s Contract Execution Services (ACES) and ARK’s internal work has shown that the goals could not be achieved with the core codebase at the time. The code was not fully adapted to facilitate the needs of the platform which required maintenance. 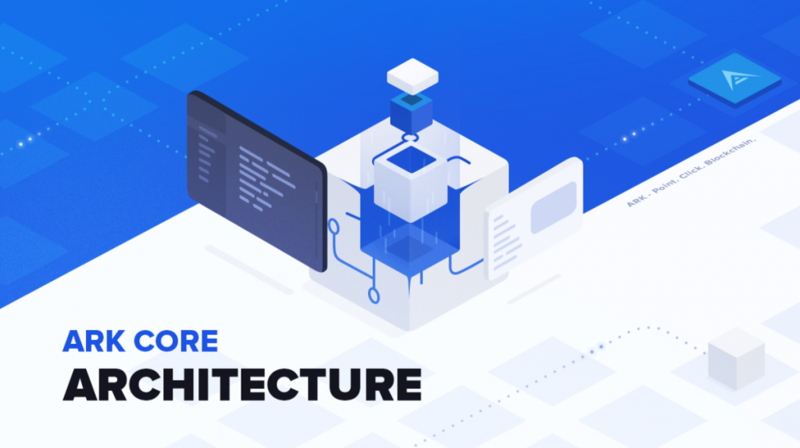 The journey started in the fall of 2017 when the company decided to rewrite the ARK core from scratch. The ARK team is pleased to announce that they are very close to releasing the beta of the project onto DevNet for public testing. Componentable (Relay Node, Forger, Transaction Pool, Storage, Public API, P2P API, option for your own components). No need for snapshots anymore (if for whatever reason node gets stuck/forked it will delete x-number of blocks from the database and try to sync from ARK network, rather than the need to download snapshot). Forging process running behind firewall. Programmable State Machine with an auditing API. Implementation of AIP11 (protocol serialisation). Implementation of AIP14 (versioned restful API). Leveraging multi processor capabilities (separate CPUs for Node, Transaction Pool and Forger processes). Fast rebuild using SPV (with automatic switch to full rebuild when rebuild is close to network height). BIP38 encryption of delegate passphrase in config file with One Time Password (OTP) encryption in RAM for security. Constants in config file, with progressive fork rules, to ease the configuration of deployable arkchains. Support for various databases (MySQL, PostgreSQL, SQLite3, MsSQL, …). 100% compatibility with v1 protocol. ARK is confident that this platform will fit the needs of anyone wanting to deploy a DPoS blockchain, being the best choice around and that the platform is ready for mass adoption. ARK’s aim is to offer users, developers and companies with a smart blockchain ecosystem that is an adaptable and scalable platform which will provide users with the easiest and most accessible service that technology has to offer. Their goal is for their creation to be mass adopted around the world. There are a number of diverse individuals that pilot ARK as a company leading them to success including a new member who recently joined named Jeremy Epstein, who is a notable marketer in the blockchain industry. They have achieved some impressive feats like becoming the first cryptocurrency SCIC in France. The journey for this company has only begun.